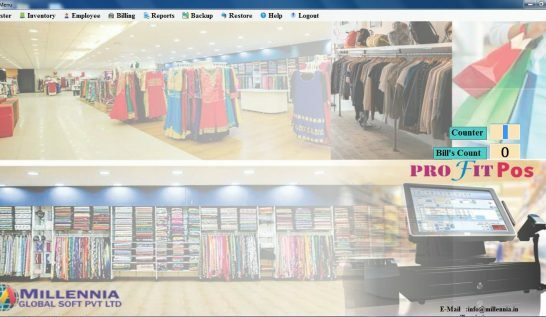 Retail POS Software for Fashion Clothing Shop – Your Choice at millennia. 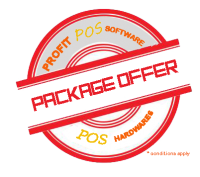 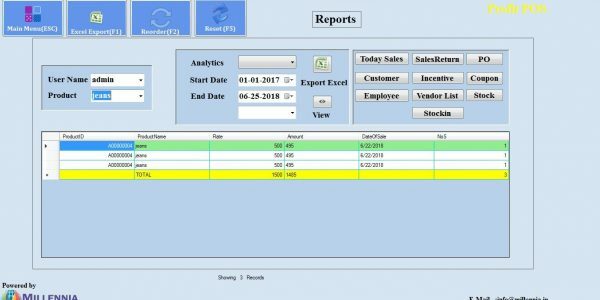 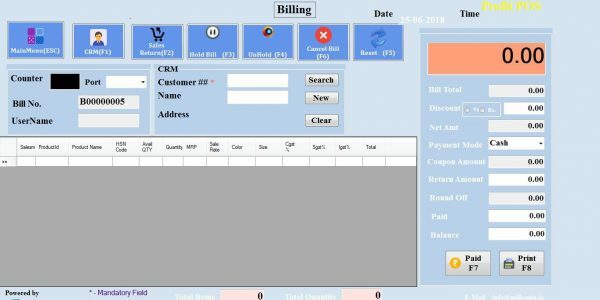 Features of software for single store : Very easy to use software with Accounting, Inventory & Stock management, Barcode label printing, Fast Billing & Invoicing, SMS/Email, Reports, PO & SO manage. 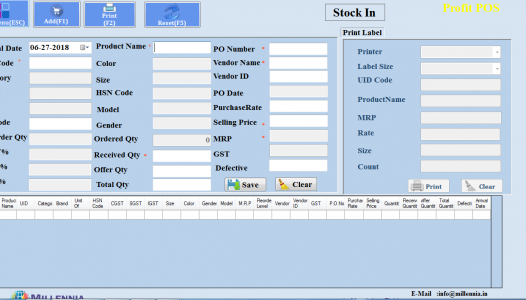 Automatic Barcode Label Generation with detailed info such as Style no, name, size, MRP etc.